The faster the tasks are performed, the more efficient the work is. 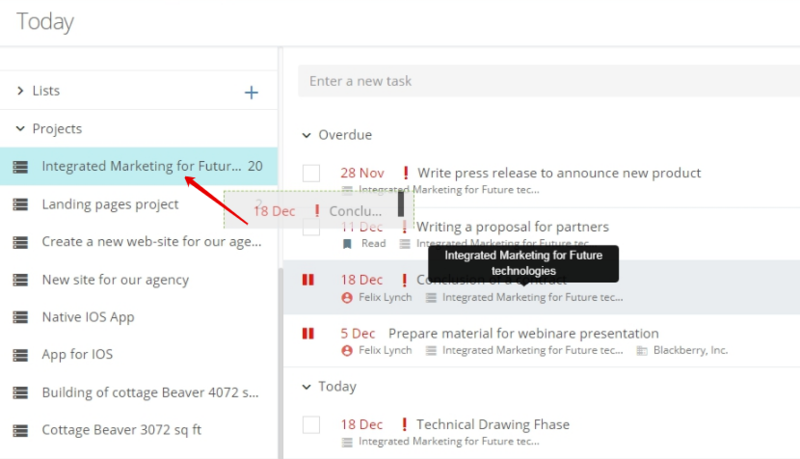 In Flowlu, tasks are set in 3 clicks and without annoying additional windows, no matter where you are. Create the task, assign responsible and observers, set the priority and deadline, and monitor the implementation. When the task is completed, you will receive a notification. There are 2 ways of creating the tasks – through a quick creation or using the full form. A task can be created in almost any application of the system and linked to a transaction or project, as well as to an account card. 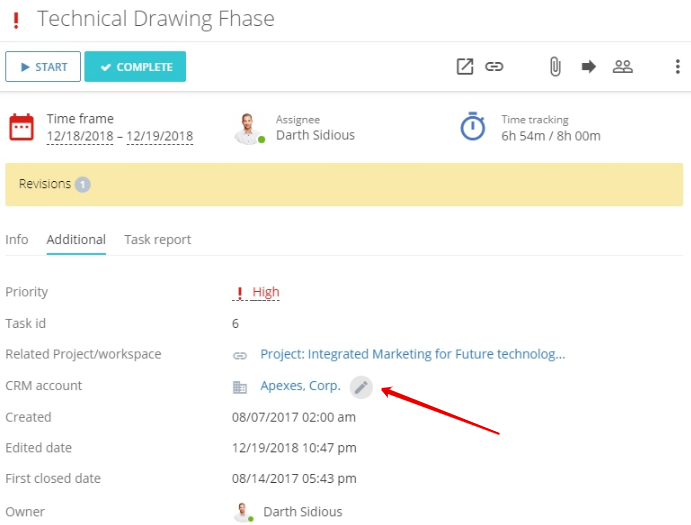 We will tell you in more on how to link tasks to opportunities, projects, and account cards. A link is set on the opportunity page. There are two ways to create a task linked to an opportunity. Way 1. On the opportunity side panel. Way 2. 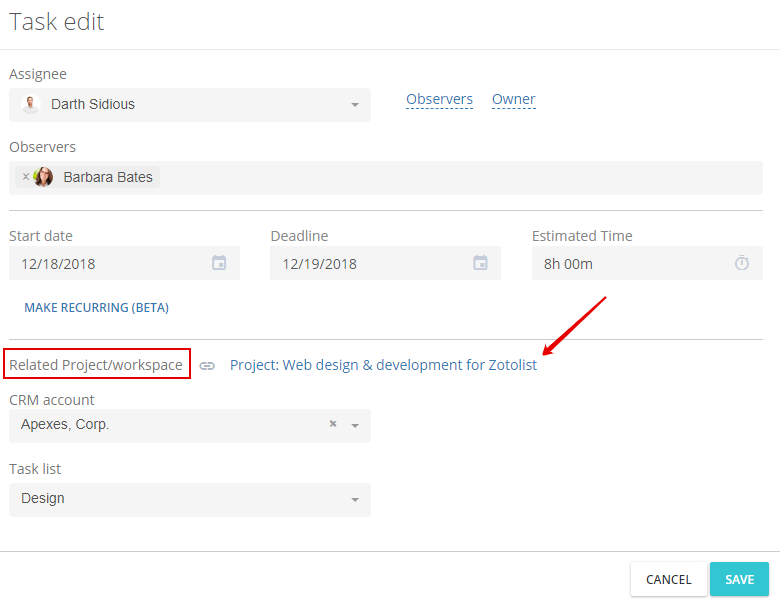 On the opportunity detailed page on the "Tasks" tab. 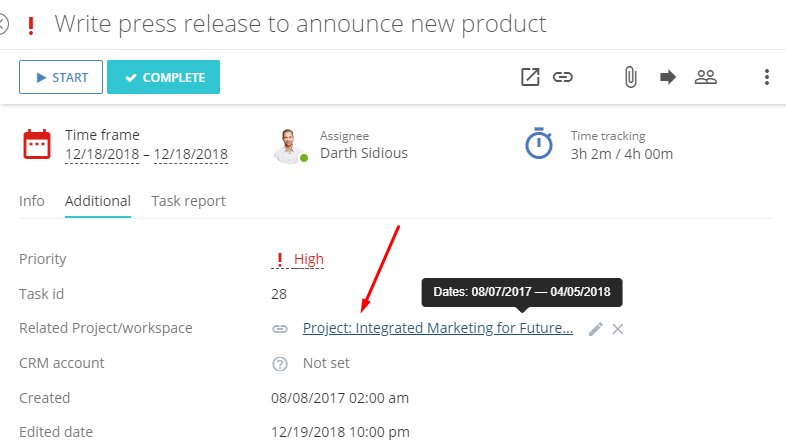 In order to go to the opportunity detailed page, click in the sidebar on the square with an arrow pointing diagonally upwards. Or open an opportunity in a new tab. 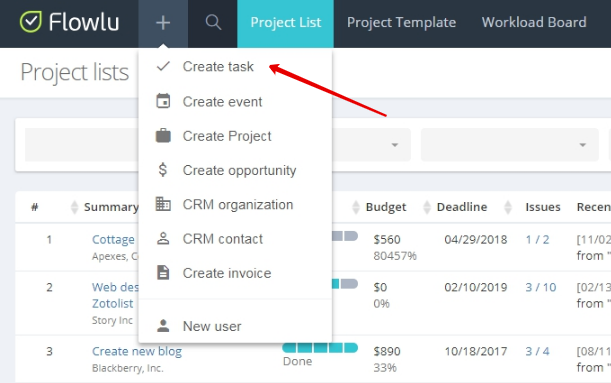 Go to the task list and move the task to the project folder. 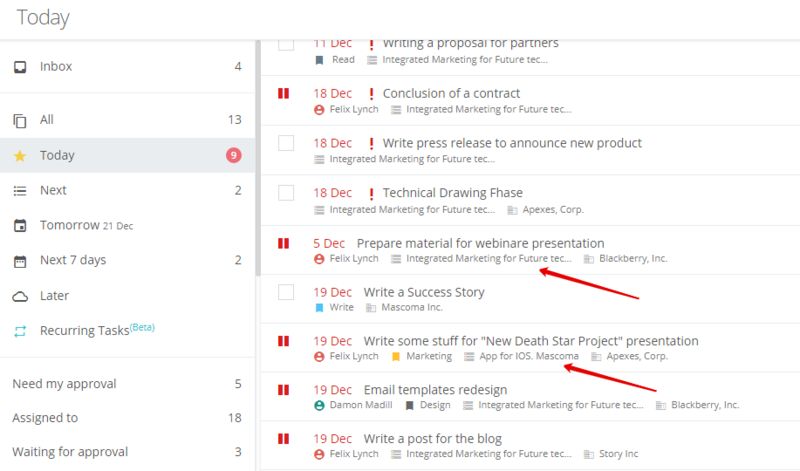 The list of tasks displays all the projects in which you are a manager. In this case, the linking to the project will be set automatically. The task can be additionally linked to the account card, even if it is already linked to an opportunity or project. There are also several ways to do this. Way 3. On the detailed page of the account card. Account detailed page opens when you open it in a new tab or with the help of the corresponding button. To go to the detailed page of the account card, click in the sidebar on the square with the arrow pointing diagonally upwards. Or open the card in a new tab. How to create task quickly? How to create a task via full form?